Palit's GTX 1070 DUAL features not only excellent performance but also a semi-fanless mode where the fan only spins when the GPU reaches 50°C. 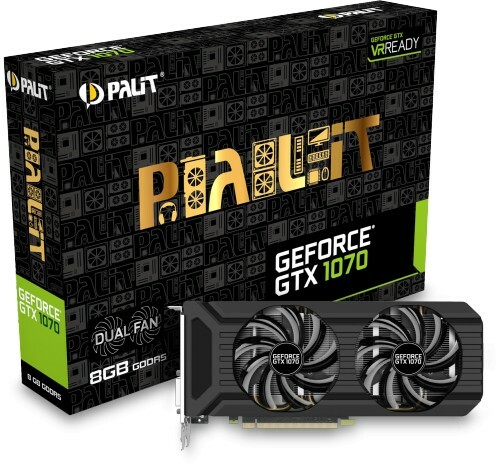 Palit GeForce GTX 1070 Dual is build with a dual fan configuration that provides a 2-slot thermal solution for SLI users. Take on today's most challenging, graphics-intensive games without missing a beat. The GeForce GTX 1070 graphics card delivers the incredible speed and power of NVIDIA Pascal — the most advanced GPU ever created. This is the ultimate gaming platform. 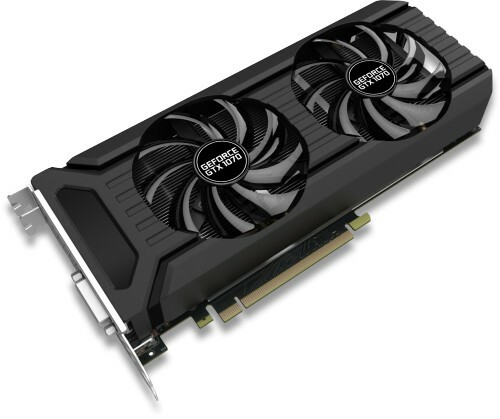 A Dual Fan design offers double the cooling performance and combined with two 92mm smart fans, heat is effectively drawn away from hot spots.